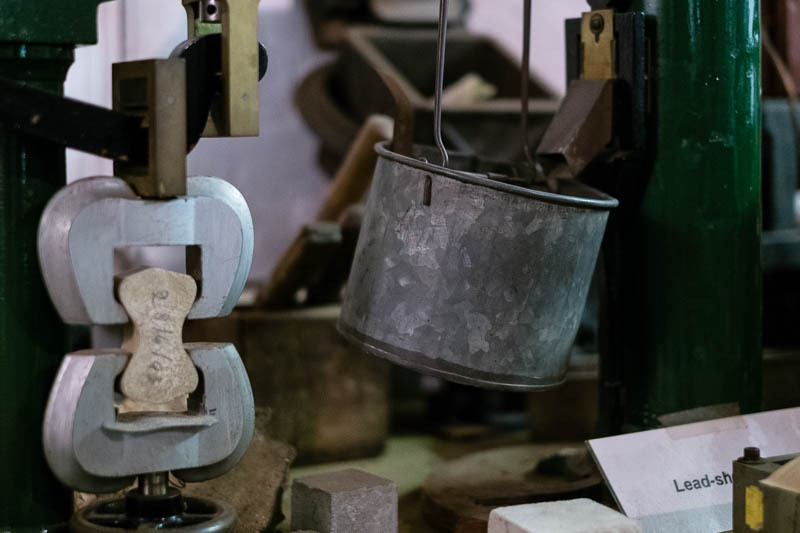 A museum where you get to break stuff. Truly. Crush concrete, make a steel bar snap, turn a steel rope into frizzy threads, fun huh? There are proper technical terms for all this fun and lots of numbers recorded as results that engineering types understand I'm sure. A stroppy Scottish engineer is the reason this place exists. 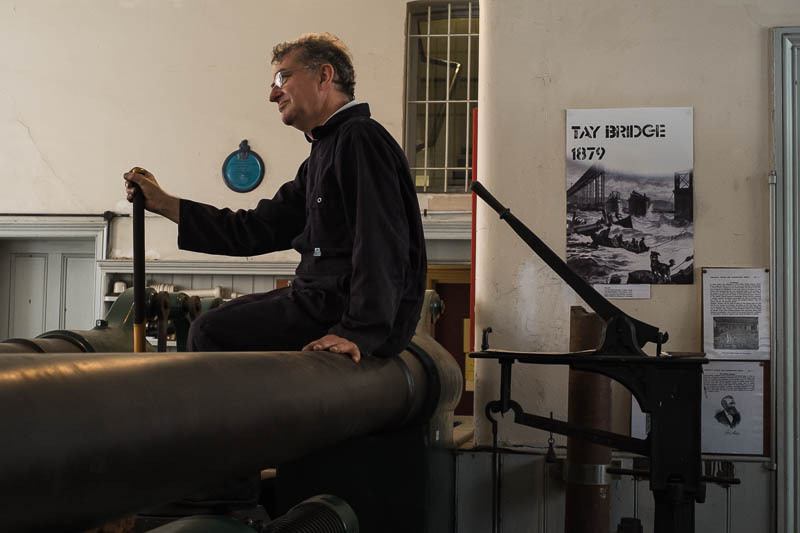 David Kirkcaldie began his career in the 1840's designing steamships, engines and boilers. In 1861 he left the foundry where he was working and spent the next couple of years studying and designing and building a unique testing machine. This machine is the centre piece at the Kirkcaldie museum in Southwark where it has been for the past 130 years. At 14.5 metres long and weighing 116 tons it's a pretty impressive piece of technology. Back in those days testing was done on whole components of finished products hence the reason for such a massive machine. Now days testing is done on small samples of finished products. Kirkcaldie pioneered the concept of testing and creating standards for the construction industry. 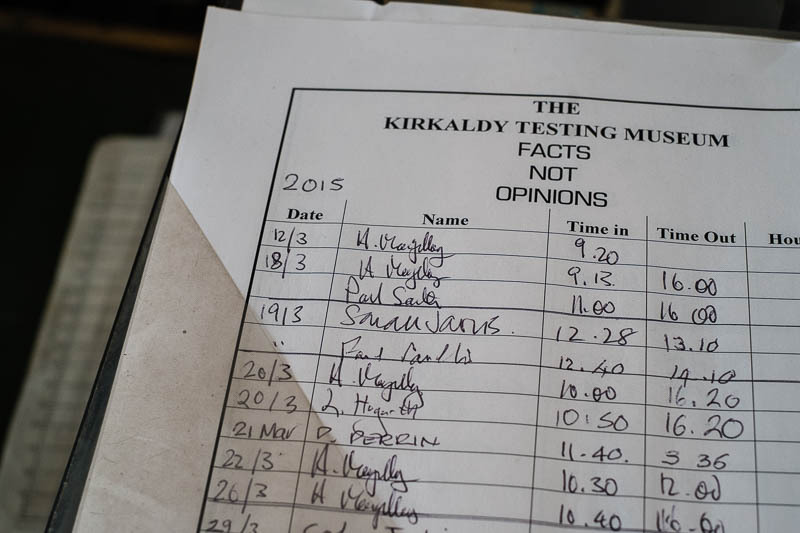 Materials were sent from around the world to be tested at the Kirkcaldie Testing Station. Most famously he was asked to test parts from the Tay Bridge following the disaster in 1879 where the bridge collapsed while a train was crossing over it, and there were no survivors. 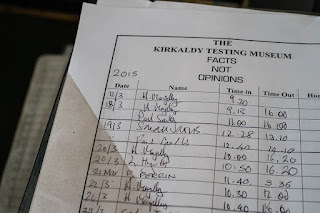 The testing station continued to be operated by the Kirkcaldie family until 1965. During the 1970's the building and machinery were listed for preservation, and today's museum finally opened in 1983. Currently the museum is open the first Sunday of each month. They are always seeking volunteers with engineering skills to help maintain and operate the machinery. 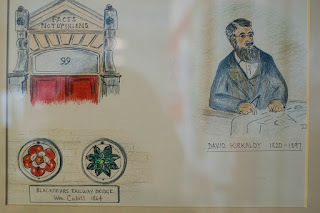 David Kirkcaldie was not an easy man to get along with by all accounts and he didn't suffer fools gladly. 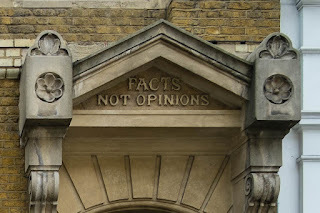 His motto was "Facts not Opinions" which was on every certificate issued by the company as well as being imbedded in the lintel above the entrance way. Tomorrow a look at testing in the 21st century. Great post. Didn't know about Kirkcaldie. Sure would be fun to operate that machine. What a fascinating bit of history that I didn't know before. Thanks for the info. I didn't know about this history before either. A fascinating museum. Thanks for your always interesting posts.